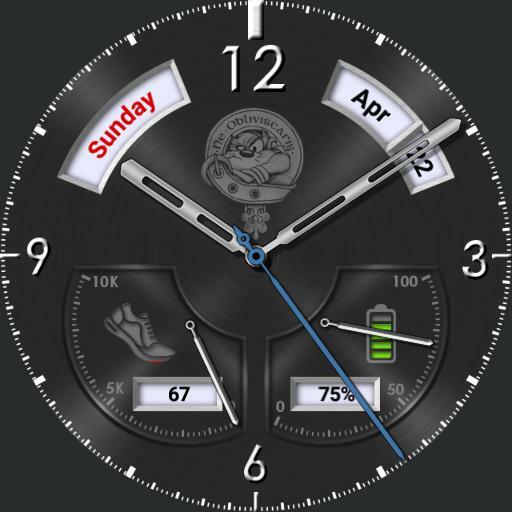 A clean dark face with day, date, watch battery and step meters. Second hand is smooth in this version. Day of week is red on Sunday, step digits are green over 8k steps, battery digits are red under 30% battery. Colour of step icon "fills up" , and of battery icon "drains down".